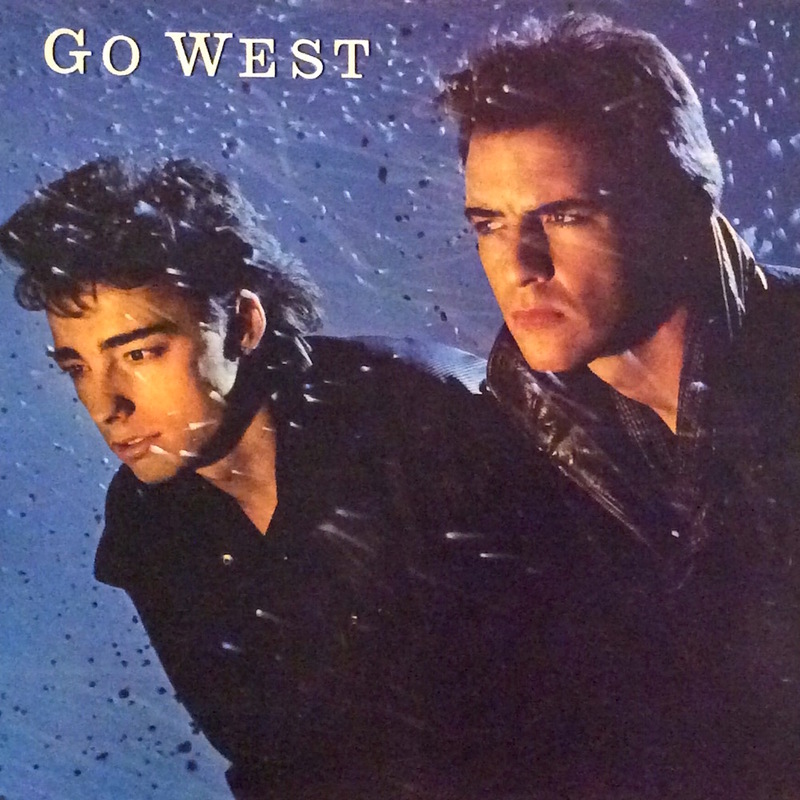 Today’s POP RESCUE from a fate unknown, is the 1985 eponymous album by Go West, but was this actually more a case of Grim Up North? This 9 track LP opens with lead single We Close Our Eyes, which gave the duo a #5 UK hit single in 1985. It bursts open with synth/brass riffs that are repeated in the chorus. The vocals are pop-rock styled, set over a perfect 80s solid beat. It’s a fantastically 80s song and absolutely catchy. No wonder it was so successful. Up next is Don’t Look Down, a song that has plenty of smooth synth blasts that remind me a fair bit of Jump by The Pointer Sisters. The track is particularly catchy in the chorus, and again is packed with the same kind of energy as the previous track. An electric guitar gets a solo in the final third, reminding you that you’re listening to some great 80s pop rock. This fourth and final single reached #13 in the UK. The third track is the group’s second single Call Me, which bounces in but is essentially a softer song – musically and vocally. I really like this track, but feel that the ‘call me, call me’ chorus needs a stronger vocal. The song took them to #12 in the UK. Eye To Eye is up next, and I’m soon reminded me of the lyrics of Kajagoogoo’s hit Too Shy. There’s plenty of 80s Obligatory Saxophone here too. It’s quite a nice mid-tempo track. The side closes with Haunted. This song is quite up-beat and relatively catchy too, and has tons of growling electric guitar in it. The vocals here really shine, with plenty of space for them to show off their vocal range. Not to be confused by the song of the same name by ABBA, side two opens with S.O.S. This bursts open with percussion and a lot of bass guitar. The guitars really go for it in this song, particularly during the chorus. Simple crisp snare drums open third single Goodbye Girl. This is a much slower more ballad-ish track. This slower song must have felt like quite a contrast, and as a result stumbled at #25 in the UK. In my opinion, it’s the weakest song on the album so far. Innocence follows, with an army of robotic synths and growling guitars before Peter’s vocals slide seamlessly in. I would almost say that this is the song that should have been the third single, but the lyrics ‘one man alone in search of innocence’ sounds somewhat sinister! Still, it’s a really catchy song. The album closes with Missing Persons. This is a bit of a downbeat drifty song with saxophone, piano, wafting vocals, and at times the vocals remind me of Sting meets Boy George. The chanting of the song’s title gets a bit dull towards, despite the 80s vocal effects. Over all, this album is pretty good. The three of the four hit singles really shine bright here, as does Innocence, but Goodbye Girl and Missing Persons are somewhat weaker. As a 1985 debut pop rock album, it’s a great example of the rise of using synths and different effects. I’d definitely recommend a listen for any 80s pop music fan. Where are Go West now? Go West found success in the UK and New Zealand, and moderate success in the US with this album and its singles. This success led them to be nominated and winning the BRIT award for Best British Newcomer in 1986. This album was swiftly followed by a remix album Bangs & Crashes, featuring a number of mixes of their debut’s tracks. Their greatest success was with their 4th album Indian Summer in 1992, which saw them sell 4 million copies. Their most recent charting single, was a 1993 version of their debut We Close Our Eyes, which stalled in the UK charts at #40. It was released shortly after their final album – Aces & Kings: The Best Of Go West, which gave them their highest album charting – reaching #5 in the UK. POP RESCUE COST: £2.00 from Hunts Antiques in Huntingdon. Posted in 1980s, Go WestTagged 1985, album, Call Me, Don't Look Down, Go West, Goodbye Girl, Peter Cox, review, Richard Drummie, We Close Our EyesBookmark the permalink.